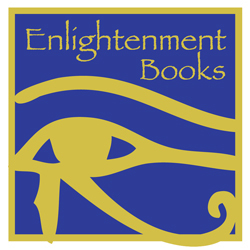 Enlightenment Books has been open in the same spot in the East Village for many years. 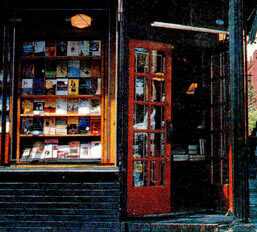 The store is pretty tiny, but cozy. It used to be owned by a man named Thomas Brill until his death in 2006 when he left it to Cass. The only employees the store has are PCs. If you have any questions about what the store would carry, feel free to ask! If it's weird and esoteric, you can just about assume it's there. All the books were shaken off the shelf when Claudine lost control of her powers attempting to buy Activating Evolution. Is broken into by a homeless man, who leaves dents in the cash register. When Peter absorbs Steven's power, he causes a shelf to shake enough to topple off all the books and break a framed picture. While Peter trains Alyssa, the everything in the store nearly goes flying away away from her. On a rampage to find out what happened to her, Elle kidnaps Jane and uses her as a hostage against Alyssa and Cass in an attempt to get information. The end result leads in the front door lock to be fused, the window broken, the back door torn open and the sprinkler system turned on to ruin most of the books. When Jessica is let to roam free again, she pays Enlightenment a visit and breaks the back door in her attempt to break in. After talking to Cass for a bit, she knocks her unconscious. Not long after, she has an epic battle with Peter in the store, cracking the front door and eventually eviscerating him.